May 28, 2011, ( El Cajon ) – With the summer approaching and warmer weather coming our way, Camp Bow Wow along with Cat & Doggie Works will once again host a Woof-n-Wash Fundraiser to help support local Animal Shelters. 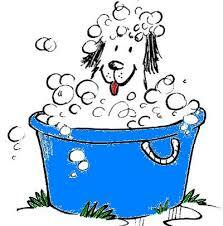 On June 4th, Camp Bow Wow, El Cajon, will host its 2nd Annual Woof-n-Wash Fundraiser. The event is co-hosted by Cat & Doggie Works, El Cajon. This event is open to the public and will raise funds and awareness for local shelters. July 9, 2010 (El Cajon) -- Want to help homeless animals and clean up your dirty dog at the same time? Camp Bow Wow is hosting a charity dog wash at Cat & Doggie Works, 1137 N. Second Street in El Cajon, on Saturday July 17 from 10 a.m. to 2 p.m.